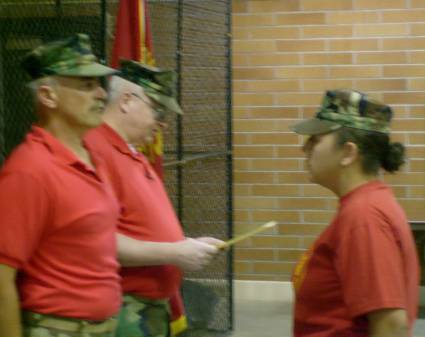 After 12 years of schooling, years of Young Marine membership, proms, turning 18 and graduating from Pasco High School on June 2nd, they all add up to a young lady getting ready to spread her wings. 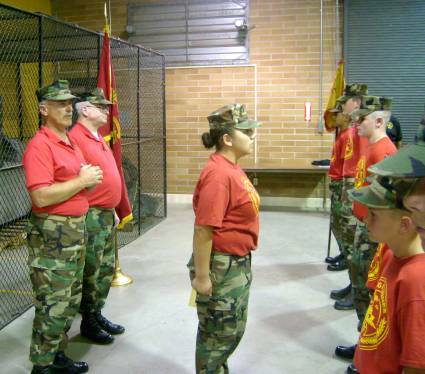 On the 7th of June 2007, SSgt. 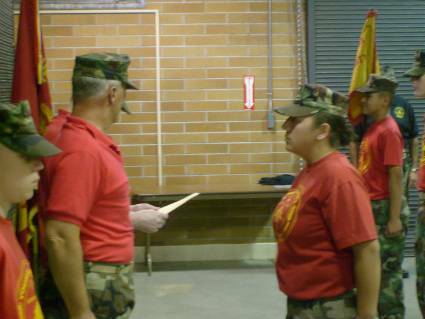 Verduzco was Honorably Discharged from our Unit. CO Mr. Carlye and XO Mr. Haeg begin the Discharge Ceremony. Time to share some special words to our Young Marines regarding SSgt. Verduzco's involvement and leadership through the years. Wonder what's going through her head? Fear, concern for the future? 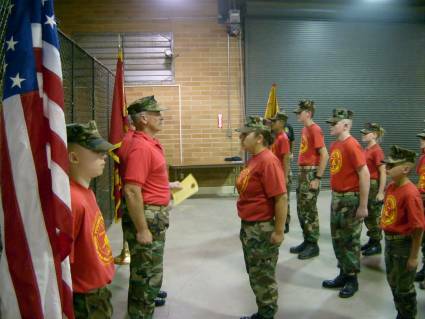 One thing our Young Marines learn is independence, leadership skills and the resources to be guided into responsible young adults. Verduzco, you've got a bright future! OORAH! 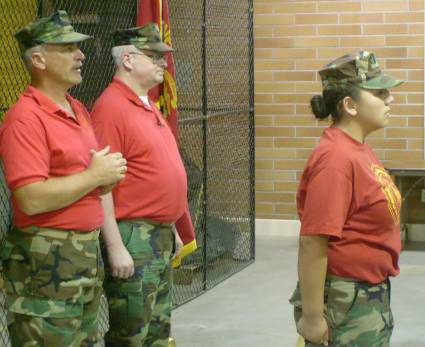 Young Marine SSgt. Verduzco, you are now Discharged from our Unit. Thanks for everything! 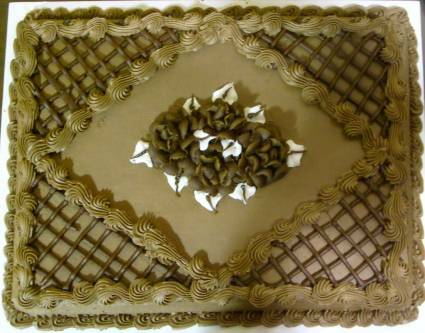 Those of you who were fortunate enough to attend, enjoyed this delicious cake in Verduzco's honor. Who is this good-looking person? 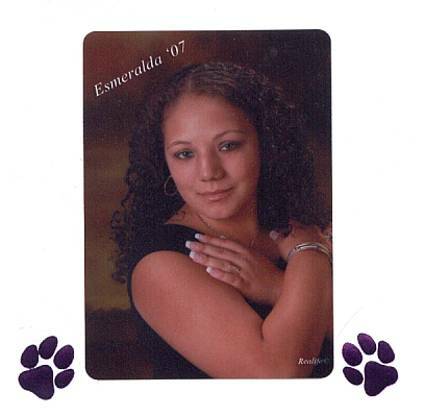 It's none other than Esmeralda Verduzco (aka SSgt. Verduzco). Very nice graduation picture, best wishes in your future!